Hello I am Thumper. Look at how handsome I am! My last owner didn’t really handle me much, so now I am a bit territorial about my cage, however if you don’t mind me boxing you every now and again when I think you might be about to rearrange my house, then I might be the bunny for you. Once I am out of my cage I am a very easy going little chap and I love being fussed. I go all silly if you rub my head. 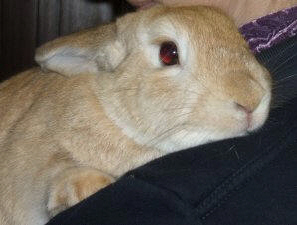 I am really friendly to other bunnies and so laid back I even like cats too! Oh and I love my food a lot too. I am neutered and vaccinated and just waiting for someone to love me forever. Fred and George are two neutered males aged 16 months old. 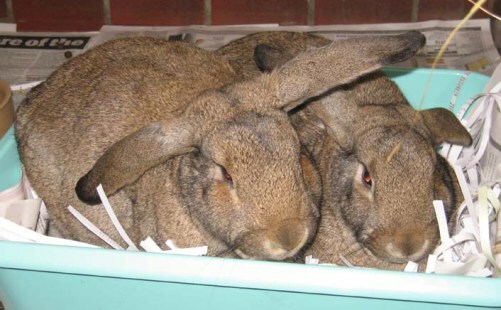 They are looking for a home with a secure garden and a large set up or shed to live in as they are big rabbits! They need to be homed together.